Ribecourt is a village about 10 kilometres south-west of Cambrai. 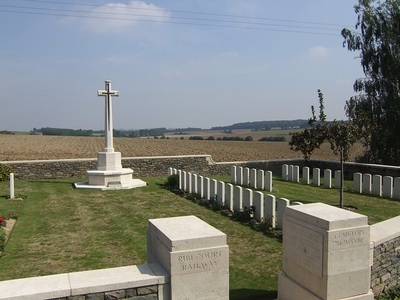 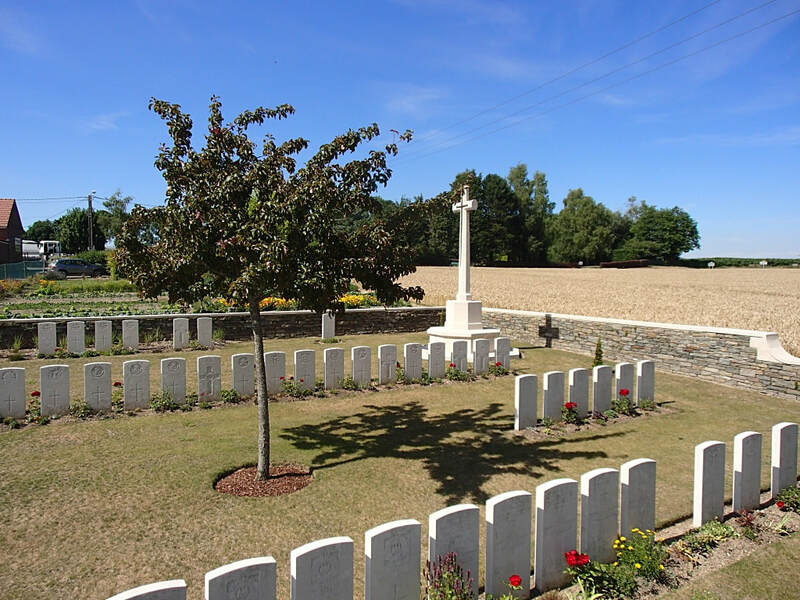 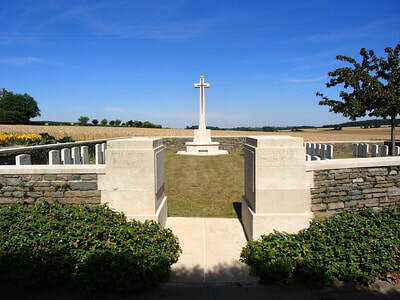 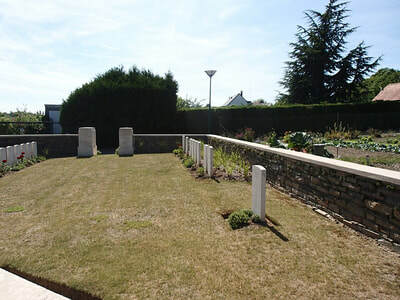 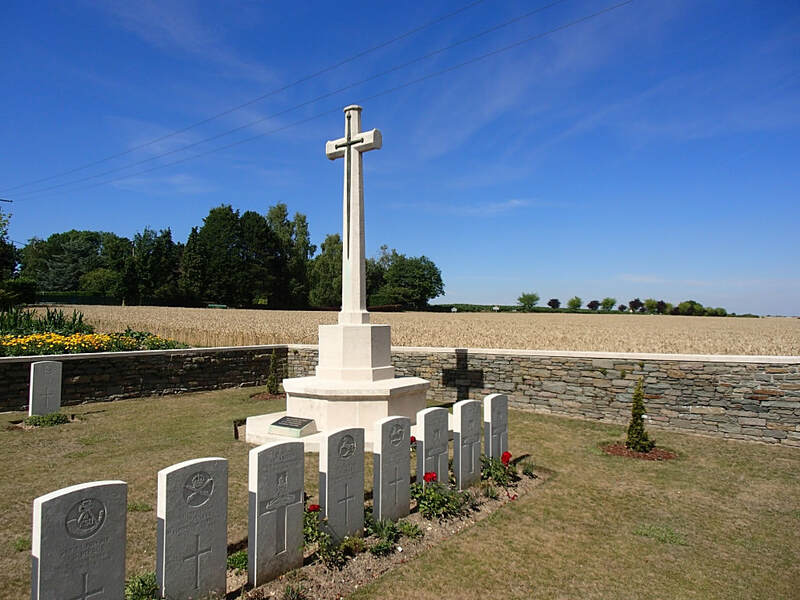 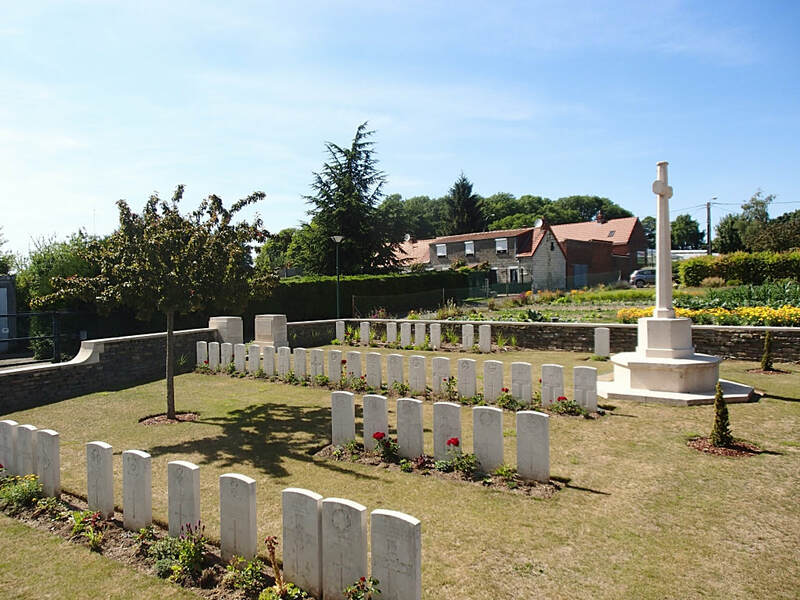 Ribecourt Railway Cemetery can be found about 50 metres just off the D.29 between Ribecourt and Marcoing on the east side of the village. 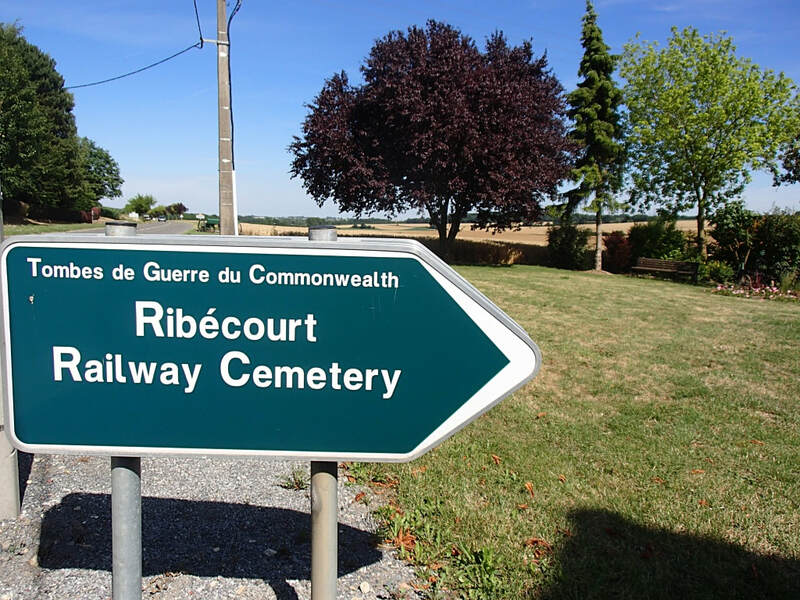 Ribecourt village was captured by the 9th Norfolks (6th Division) on the morning of 20 November 1917. It was lost in March 1918, but recaptured by the 3rd Division on 27 September 1918. 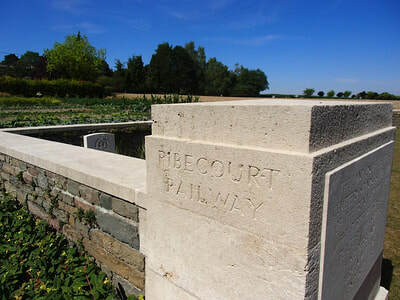 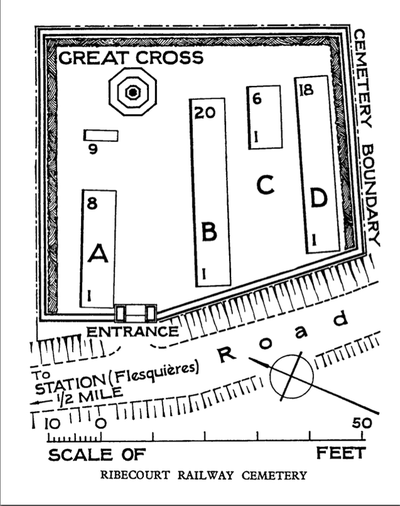 The Railway Cemetery was made by the 3rd Division in October 1918. The cemetery contains 53 First World War burials, one of which is unidentified. Casualty Details: UK 52, New Zealand 1, Total Burials: 53. 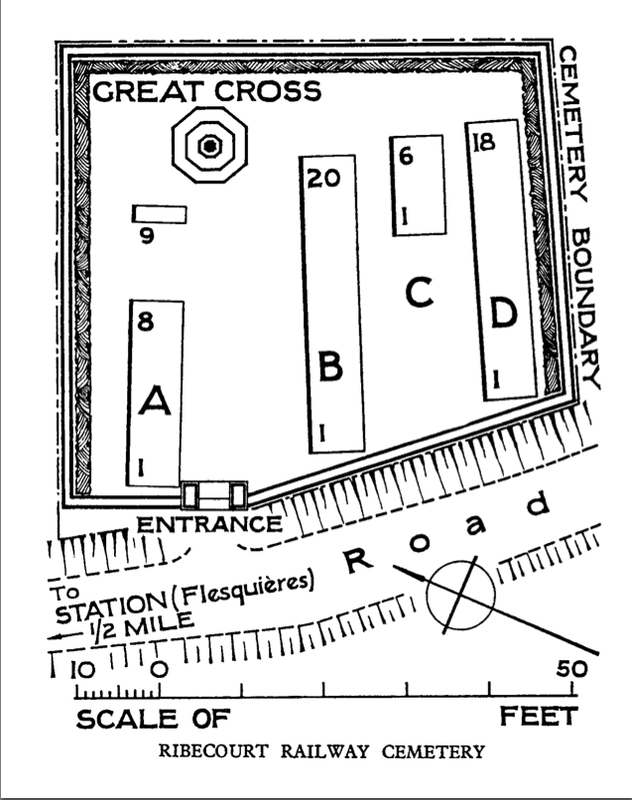 Brother of Mrs. R. A. Leland, of 72, Searle St., Cambridge.